Rest in peace grandpa Hobo. You lived 20 years, a long a happy life with your pawsome family. We will miss you very much our handsome friend. We know you will be watching over us from the bridge. 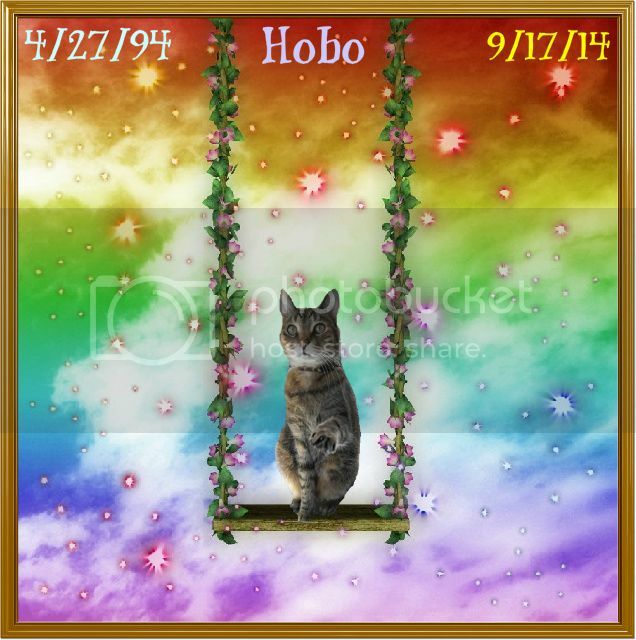 Beautiful picture Bugsy and thank you so much for remembering our good friend Hobo. Last update on September 21, 12:36 pm by Spice. Hobo will never be forgotten we have traveled and had so much fun together. I know he will be watching over us. 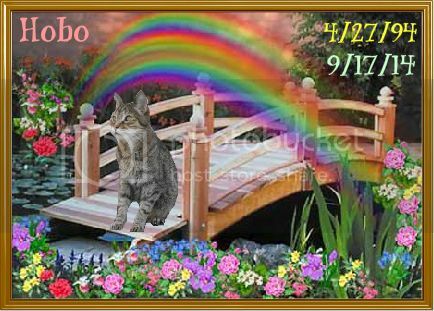 Beautiful pictures.. Hobo is smiling at us all..
thank you Bambi and Chester.